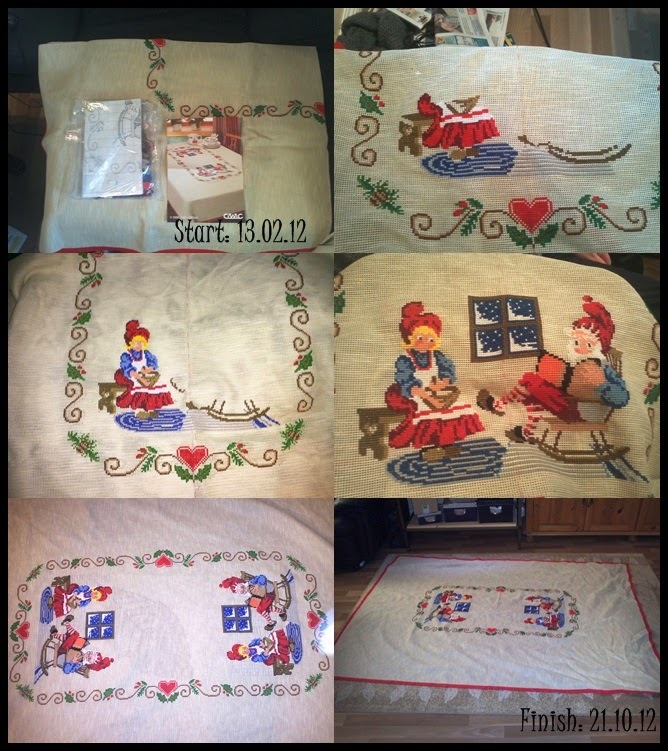 Hobbies of Norway: Christmas tablecloth (BIG)! This was one of the biggest projects of mine. I got this assignment from a I know. She did not even have the opportunity to embroider, as the sight was not as good anymore. I was about to give up occasionally, but I should have it ready for Christmas that year. Here is a picture of the beginning to the end.